Each November in Whitehorse the Cranberry Fair invites the world to one of the most exclusive Christmas Sale Events. On this day artist and fine crafts people convene from all over the Yukon to present their unique, diverse, and high quality skills and talents to a broad variety of expectant visitors. On this day over 2000 people gather to experience the Yukon’s outstanding arts and crafts culture and to have the opportunity to meet, talk and get to know over 40 Yukon exceptional artists and crafters. This day also is a great opportunity to find you best Christmas gifts or that one very precious piece for yourself. 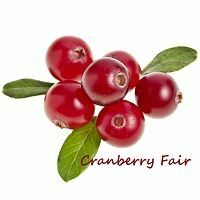 Discover the Cranberry Fair in all its glory. © Copyright 2017 Cranberry Fair. All rights reserved. Powered by PR Services Ltd.